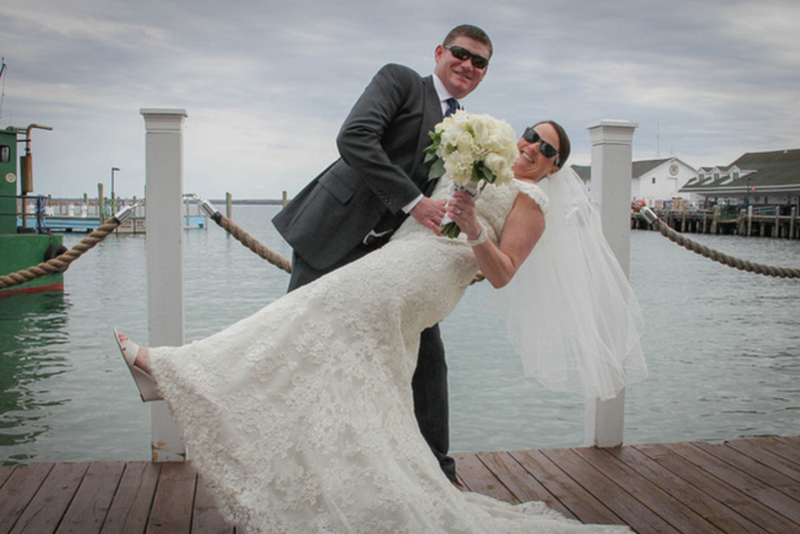 A May wedding on Mackinac Island offers so many extra amenities that weddings later in the season don't always provide. Early season lighting makes everything glow in a clean, bright kind of way. Getting to the church on time is easier with fewer bicycles, carriages and walkers in your path! Exchanging your vows at Ste Anne's Church, with over 240 years of weddings history is always a rather reverential experience- adding your wedding to the many couples who have come before you for eternity. Gathering family, friends and a lot of beautiful nieces and nephews, the weather on the Island couldn't have been nicer. Sunshine and clear skies greeted the many guests who came from all over, many from the Lansing area as were Lisa and Ryan. 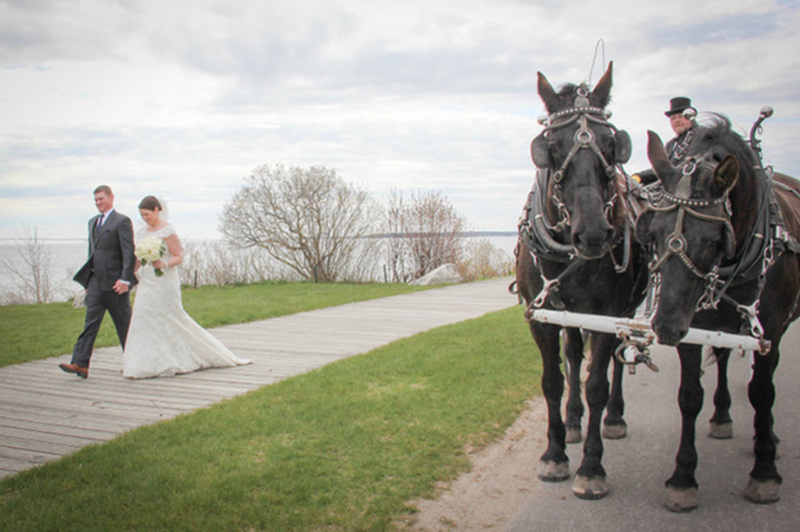 A horse drawn carriage from Gough Carriages took the happy couple to the boardwalk, West Bluff, the marina and down Main Street Mackinac Island. Photographers of Island Photo followed on bicycles, keeping up with the enthusiastic horses, all fresh from a winter of good hay and plenty of rest! A reception dinner was held at the famous Pink Pony at the Chippewa Hotel, and photographs and celebration continued.